Midi drum controllers work just like midi keyboards, but instead of keys, you control it via pads which you hit with sticks or with your fingers. These controllers are used with virtual instruments in sequencing software to create beats and to trigger samples and are often found in home recording studio setups. 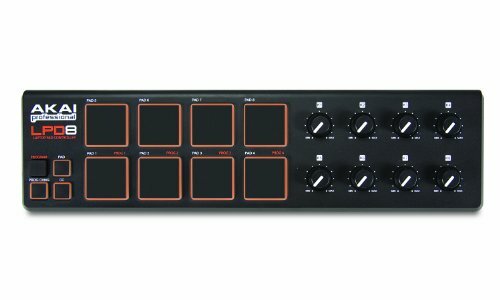 In this article, we’re going to deep dive into the key considerations when purchasing one of these midi drum pad controllers. For a quick overview of the products we review, take a look below. Ok, here’s what we’re going to cover. Feel free to jump to an area of interest, but for full effect read from top to bottom. 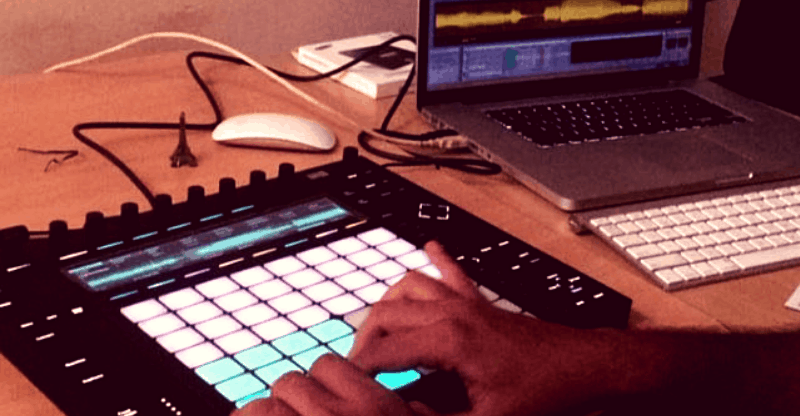 What is a Midi Drum Pad Controller? Fully Lit or Partially Backlit Pads? A drum pad controller is a midi interface (‘midi’ stands for Musical Instrument Digital Interface) that works by sending data to trigger sounds. These midi messages are sent to virtual instruments within the sequencing software you’re using (such as Reason, Ableton or Cubase). There is an infinite number of sounds you can trigger, either with sticks or with your fingers. These controllers work both on stage and in the studio. Conveniently, many controllers have built-in sounds already – including full kit sounds – so that you don’t need to hook it up to any additional virtual instruments before you start creating beats. They’re incredibly portable, even when compared to most transportable of drum kits. They’re usually smaller than a laptop and are a viable alternative to an electric or even acoustic kits for musicians who are tight on space. They’re often USB powered, so you don’t also need to worry about finding an extra plug socket. Drum pad controllers are a lot easier to make drum patterns on than midi keyboards. The buttons are easy to press, light up as they’re activated and make the process of making music a bit more accessible. If you’re already savvy with your software, they’ll work as a fast track to achieving instrumental sounds. Many drum pad controllers are USB powered (also known as ‘bus powered’). These devices don’t need an additional adapter and are a godsend for those who like to create beats as they travel. If you’re unsure about whether there will always be a plug socket available as you work, this is an essential feature to look out for so that you can power your instrument from your (charged) device. Non-USB powered ones will require a plug socket as they’re powered via an AC adapter. If you’re using the pad controller in the studio where there’s no shortage of plug sockets, then this kind of power source will be just fine. Most of these products have velocity and pressure sensitive pads that react according to how hard you hit them. If you hit it with some force, the sound will be louder; if you touch them lightly, the sound will be soft. This gives you a dynamic range in your drum sounds and makes the sounds feel a bit more natural and authentic. This feature is essential for those who want to achieve realistic instrumental sounds. The number of pads on controllers vary from 6 up to 64. How many do you need? More might immediately sound like a better option, but if you want to hit it with sticks, then six large ones might be more appropriate than lots of small ones. If you require a large number of samples in a single session, 16 or more is likely to suit you the best. If you’re looking for something that’s more similar to a drum kit, 6 or 8 should suffice. Some of these controllers have pads which fully illuminate, thanks to an LED, while they’re in use. Others light up at the back. If you’re looking for a colorful experience, or need to be able to see what you’re doing in the dark easily, get some which light up with different colors. If you think that this might be distracting, try partially backlit ones. Most of these controllers also have volume faders that let you adjust the volume of individual pads as well as the overall output(s). Faders are sometimes preferred as they feel a little more ‘hands-on’ and more visual. However, knobs which work like dials are just as effective at giving you the control that you need. Aftertouch is found on higher-end devices and enables the user to add techniques like vibrato and volume boost after the initial triggering of the sound. This is useful when you’re creating melodic lines as it gives you extra control over your sounds and makes it possible to play with more style. Some of these controllers also have buttons which instantly insert a flam or a roll to your drum sample. This gives you complex beats and mimics the kind of techniques that a ‘real’ drummer would play. The Akai MPD218 builds on the strengths of previous incarnations but improves in many ways. It features 16 velocity-sensitive pads (and aftertouch), so you have some real control over the sounds you create. There are three banks which means that 48 sounds are accessible during a performance and six dials that can be assigned to control volume, pitch, automation and more. The Akai MPD218 is pleasingly slim, sturdy and easy to use. It’s compatible with both Mac and PC, and there is also iOS compatibility when the device is used in conjunction with a camera connection kit. It’s perfect for musicians who want to make strong beats and need some software as well as hardware before they get started. Backlit pads rather than fully lit, so it’s easy to see in a dark environment. Although 48 settings are attainable, switching between 3 banks might not be possible mid-performance. 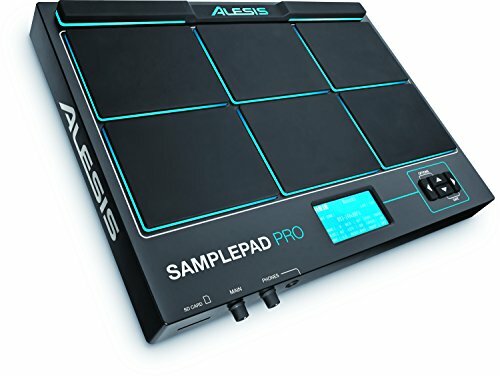 The Alesis SamplePad Pro is an instrument that’s ready to play straight away, as it has 200 built-in sounds as well as the ability to trigger samples from your computer. There are ten full kits to choose from, and you’re able to install additional sounds to the machine using an SD card. There’re eight velocity-sensitive pads, which are highlighted with blue light when in use, and there are also inputs to allow for additional ones. As well as this, the Alesis SamplePad Pro has inputs for foot pedals so that you can control your bass and hi-hat sounds with your feet as you would on a real kit. This midi drum controller also has multiple outputs, including a headphone socket and plugs into your computer via USB (although an AC adapter powers it). The instrument is compatible with both Windows and Mac. It’s perfect for existing drummers, as the option to add foot pedals means you’re able to apply your drumming skills to it and incorporate it into your existing electronic kit. It will be less suited to those who want something simple to get started with, or for people who require something that’s powered by USB. Able to add pedals to make this play like a real kit. Responsive and suited to being hit with sticks. Two hundred internal sounds already included, so it works as an instrument straight away. Needs to be plugged into the mains. It’s suited mainly to those who already play drums. 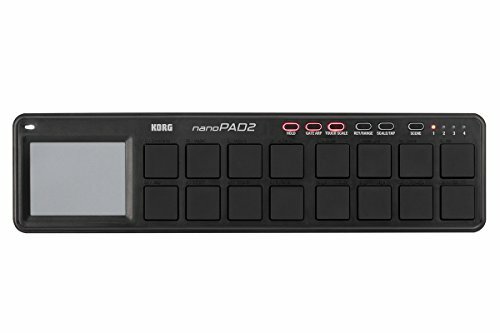 The Korg nanoPAD2 is a fun and easy to use controller which is suitable for creating melodies and harmonies on, as well as beats and rhythms. It has 16 velocity-sensitive pads which, as well as being capable of assigning drum sounds to, can be set to scales which make melodic creation possible and easy. Up to 4 of them can be played simultaneously so that you’re able to create chords, and there’s an X/Y touchpad which works a bit like a Kaossilator to generate more sounds. It’s very budget-friendly, light and easy to use, so it will suit the creative musician who wants to have fun and establish new musical ideas. It will be less suited to those who need a large number of sample options and superior controllability, as this is more of a competent all-rounder than a professional device. Works with Macs and PCs. It’s very budget friendly and easy to use. Works well for creating melodies and harmonies as well as beats. The pads don’t light up. It’s more of an all-rounder. The Akai Professional LPD8 has 8 pads and 8 corresponding dials, which makes it easy to control and to play with. There’re also four banks in this interface to store settings and switch between them, which comes in useful when you need to have fast access to a particular kit or selection of samples. It is bus powered by USB, and the pads lit from behind, so it’s easy to see which ones are being used. 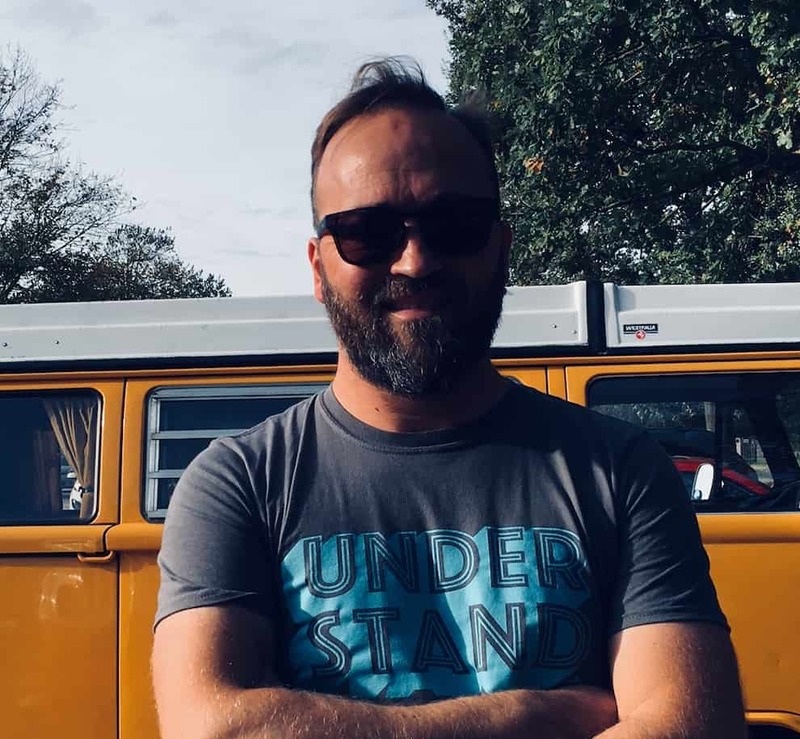 This compact and budget-friendly product comes with a free Reason download, making it perfect for those who’re just getting started and don’t have much money to spend. Like the nanoPad, it will be less suited to those who require triggers with superior sensitivity and a large number of pads. Despite the ‘professional’ name, it’s less professional than some of the higher end products. Eight corresponding dials for the eight pads makes it very controllable and easy to use. Pads highlighted rather than fully lit, so it’s easier to see in a dark environment. Switching the eight pads between their multiple functions is impractical on stage. The Ableton Push 2 has 64 pads, making it extremely well suited to electro musicians who’re likely to need access to a lot of samples at once. You can slice, stretch or shorten samples so that they always stay in time with your music. There’s also a built-in screen for you to access a vast bank of inbuilt sounds to assign to your pads, which are velocity-sensitive with aftertouch, so you can hold and manipulate samples after they’re triggered. There’re also recording options built into the software to capture musical ideas as they’re born. The Ableton Push 2 is perfect for electronic musicians who take the triggering, manipulating and mixing of samples seriously. It will be less suited to those who want a quick and easy way of achieving drum kit sounds. Velocity-sensitive pads that have aftertouch with vibrato effects. Features could overwhelm someone new to midi controllers. It’s more suited to triggering multiple samples. The Arturia BeatStep Pro is more than just a midi controller. This advanced piece of hardware has 16 light up, velocity and pressure sensitive pads and it also allows you to save up to 16 projects. You also have 16 dials which are fully customizable. There’s a tap tempo control, a drum fill generator and an option to dequantize notes a little, to give your music a more natural, random feel. There’re multiple scale settings, so you can also get creative with your melodies quickly and easily. These scales are transposable to all keys. It can be used in combination with Macs, PCs and midi-compatible synthesizers, drum machines and more, via its USB, Midi, and gate outputs. It has an internal drum sequencer and two melodic sequencers, which let you create beats and tunes with the hardware and even capture the velocity of the notes as you play them. 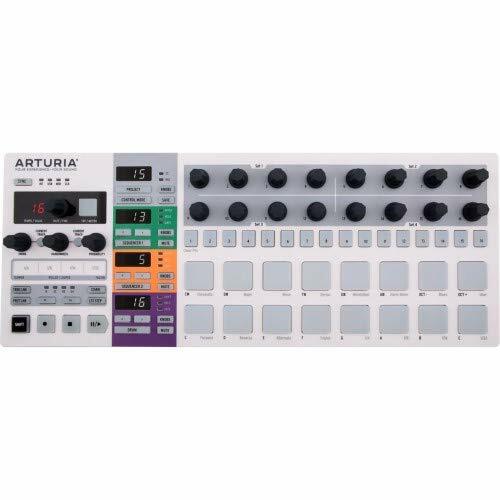 The Arturia BeatStep Pro is perfect for those who perform with drum machines, synths and VSTs live on stage. This device connects to them all and makes the performing process smoother, more exciting and more fun. It’s also sturdy while slim enough to carry in your laptop case. It can be powered off your laptop, too, by USB. A large amount of features and broad connectivity makes it versatile, functional and creative. Includes a Kensington lock as an anti-theft device. The enormous amount of features can be overwhelming to the beginner. The included USB lead is flimsy and short. It’s not that intuitive to use: you’ll need to read the manual. 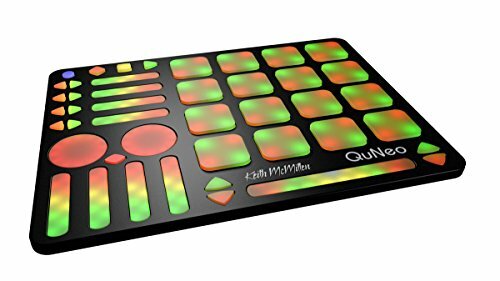 The QueNeo 3D Multi-Touch Pad Controller is an extremely sensitive, modern Midi controller. It has sixteen pads and nine touch-sensitive faders. Each of these react according to exactly where they’re touched (they even have different functions for each of the corners). When the pads and faders are in use, they light up in reds and greens. This makes the QuNeo a very visual tool that’s easy to see in darkened rooms. The device is exactly the size of an iPad and is powered via USB. This makes it extremely portable, but it still feels solid and robust. To connect with more old fashioned Midi instruments, you will need an additional Midi expander, and there’re no audio inputs or outputs on this pad controller. It’s designed with portability and laptop connectivity in mind. This will be well suited to electronic musicians or DJs who need to travel light but don’t want to sacrifice features or quality in doing so. It will be less suited to musicians who might need audio outputs or who want to use the controller with Midi synths or similar. Although it’s possible to connect this to Midi synths, doing so requires additional hardware that’s sold separately. Small, lightweight and USB powered. Incredibly responsive pads to velocity and have multiple pressure points. No multiple outputs, so it’s less versatile than some of the other pad controllers. The touch sensitivity might not suit those who prefer knobs. The color scheme of the lights – reds and greens – might not be clear underneath disco/stage lights. 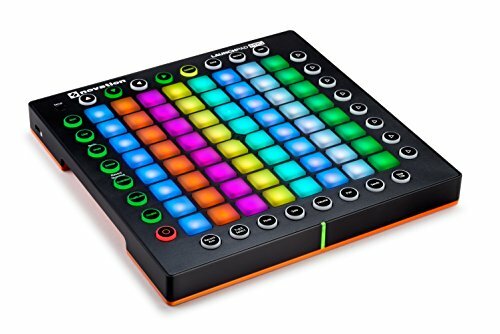 The Novation Launchpad Pro Grid Controller is a colorful, 64 pad controller. The pads are velocity and pressure sensitive and make beats that are expressive and natural-sounding. When you’re creating melodies, they automatically assign themselves to keys and modes to let you create fitting tunes easily. The notes which fit appropriately are highlighted, while the remaining chromatic notes stay accessible but are lit more dully. As well as a USB connection, which powers the device, there are midi ports to connect it to older synths. This device was built with Ableton in mind, and it comes with a copy of Ableton Live as well as a load of Loopmasters loops, to get you started creating electro music immediately. It’s well suited to electro musicians who perform live with Ableton and need something to trigger audio and video samples as well as to create tunes and beats. It will be less suited to musicians who want something simple. Pads are incredibly colorful, multifunctional and sensitive. Comes with Ableton Live and a selection of Loopmasters loops to help you to get creative quickly. Use it to create light shows as well as music. It’s not all that intuitive to use: you’ll need to read the instructions and be tech savvy. Although it’s compatible with various software, it’s most suited to Ableton. It’s a bit bulky compared to some of the other items here. As is suggested in the name, the iK Multimedia iRig is the only phone-friendly option here and connects with some Apple products (and is also compatible with PC). It has 16 multicolored pads which are velocity sensitive, two controllable midi knobs, two assignable push buttons, and a Midi controllable fader. It also comes with software and a bank of sounds to get started with. This hardware will suit those who are loyal to Apple and already use their products. It’s easy to get started when you use this as an addition to a small device you’re already comfortable with. It will be less suited to those who want something for permanent use in the studio, as it’s designed with portability in mind and is made to work with handheld devices. Comes with software and a large number of samples to get started with. Pads are velocity-sensitive and light up according to how hard you’ve pressed them. It doesn’t provide excellent value for money. The controller and the software take some getting used to if you’re new to making Midi music. The ROLI Lightpad is another wireless product, compatible with Apple and PC computers. You’re able to shape sound by gliding across the touch screen, striking the lit-up pads or by pushing your fingers into the surface. The sensitive screen will ensure that your sounds are expressive, and there are features to record your beats and play them back. When you’re creating melodies, it’s possible to switch between scales and arpeggios, so it’s easy to add fitting tunes to your beats and basslines. 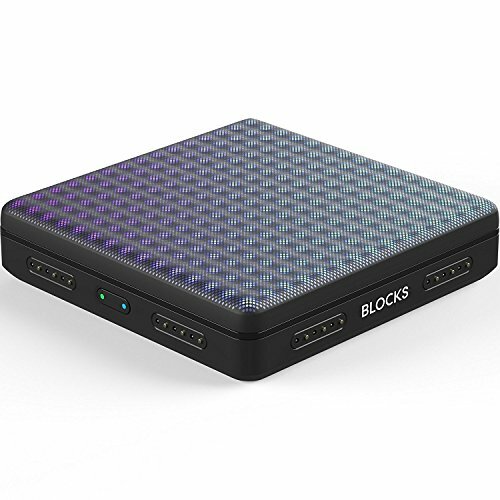 The ROLI Lightpad Block is perfect for those who like to share the music they’re making as they’re making it. It’s so portable and easy to use that you’re able to carry it everywhere with you and get it out when you’re with your musical friends. It’s less suited to people who need something more permanently set up. Expanded easily by adding further magnetic blocks. Although it’s intuitive, it might not suit those who prefer to have knobs and faders. The ‘Noise’ App it’s compatible with isn’t as advanced as other music making software. The drum pad controller you opt for depends on the kind of music you’re into and your budget. 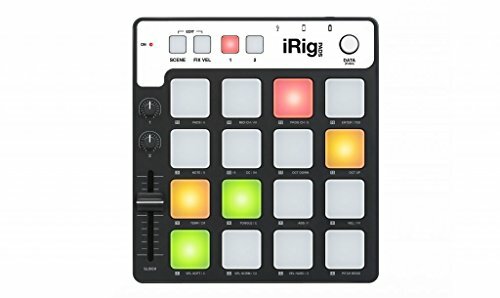 If you’re an electro musician who uses Ableton seriously and needs something that triggers up to 64 samples per performance, the Ableton Push 2 or the Novation Launchpad are both professional choices, which have all of the functionality you will need to create electro music in a live setting. The professionalism of these products is also reflected in the price. A more budget-friendly option would be either the Akai Professional LPD8 or the Korg NanoPad 2. The Akai Professional LPD8 is more suited to those who want only percussive sounds, whereas the Korg NanoPad 2 is designed to make melodic and harmonic improvisation easy and fun. 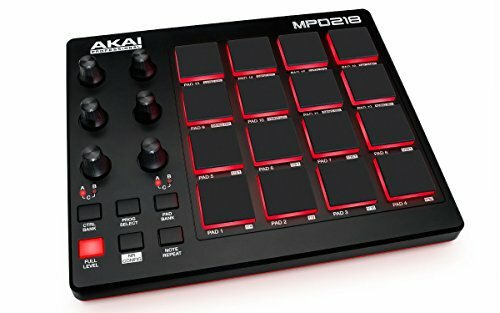 The Akai Professional MPD218 is a bit more advanced than the two budget options. It also comes with all of the software you will need to get started, making it perfect for those new to creating Midi music. Drummers who need something portable will do best with the Alesis SamplePad Pro, which plays just like a drum kit. It’s designed to be played with sticks and even has a foot pedal option so that you can use your drumming skills in the same way as on a real kit. If you’re an iPhone or iPad user, the ROLI lightpad or the iK Multimedia iRig may be catching your eye or (or ‘i’). The iK Multimedia iRig is quite similar to controllers like the Akai models, whereas the ROLI is completely different thanks to its entirely touch-based response system and the magnetic expansion possibilities. iPad users might also be excited by the QueNeo 3D Multi-Touch Pad Controller, as it’s exactly iPad sized and fits into any space you’d also put an iPad. It’s also extremely sensitive, and each pad is capable of 4 different functions, at the same time. 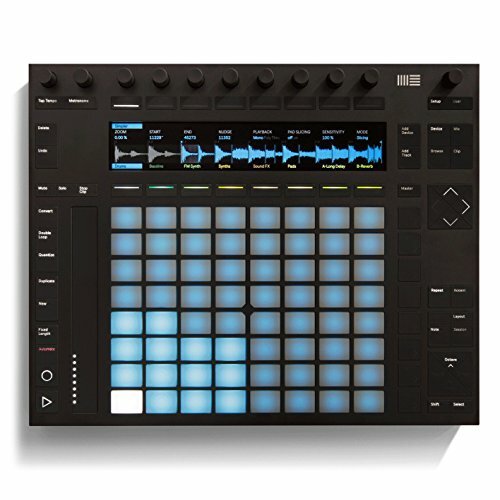 The Arturia BeatStep Pro is a clear favorite for musicians who need to plug into instruments and drum machines, as well as computers (or phones), as its vast amount of input and outputs gives it the best connectivity of the bunch. Whether you’re an iPhone user, a multi-instrumentalist, an electro musician or a drummer who wants something a bit more lightweight, we hope that these reviews have helped you out.